You know the routine… A notification pops-up on your screen and if it has a “don’t show me this again” option, you click it. Believe it or not, there are some notifications that are helpful. And lets say that you chose that “don’t show this again” option and you want to get that notification back. How do you get it back? 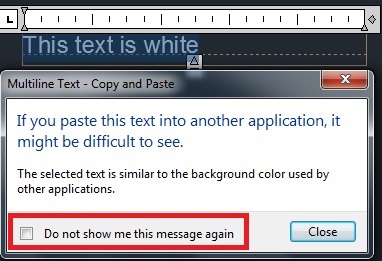 1) Tells you that you are copying text that is white in colorand that if you paste it into a word document, you will not see the white text. Navigate to the notifications and check any or all that you want restored. 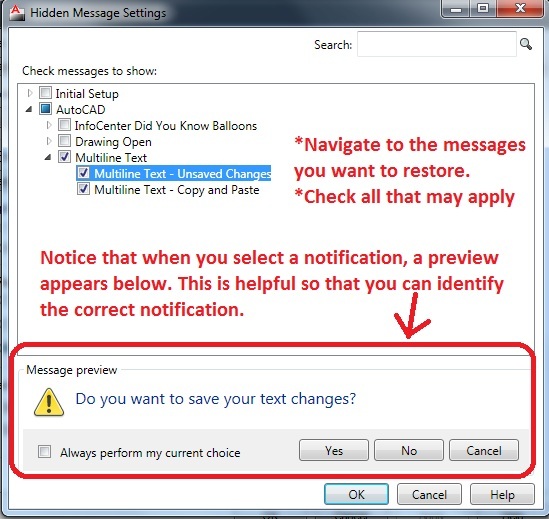 Note: If you cannot remember exactly what notification you want to restore, after selecting one from the list, you will see a preview of that notification at the bottom of the dialog box. This will help you select the right notifcation. 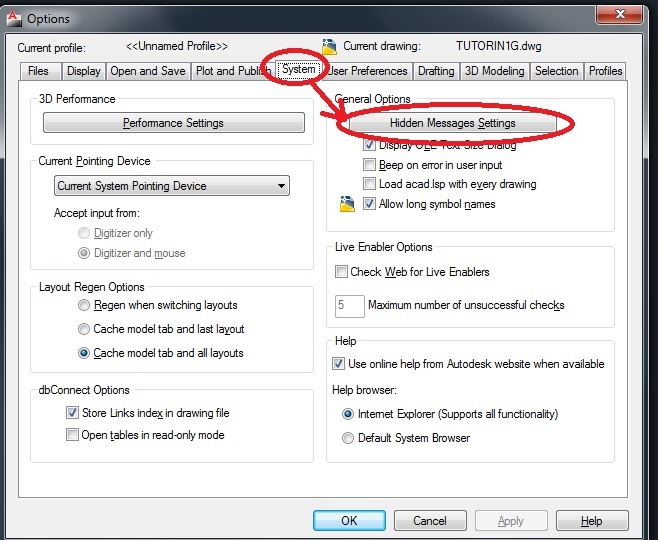 Click OK to save the new settings and OK again to exit the OPtions dialog box. This entry was posted in BASICS, Customization, Modifying, Text, TIPS. Bookmark the permalink.